This month is Ryley’s B-Day month, so, it’s good to reflect on what it means to be Ry’s Mom. However, more than being a Mother, we’re going to take the cat out of the bag. We’re going to say what it means to be a Mother to a child who has ADHD. It is not always the easiest, but it’s definitely worth it. Hopefully for parents who have children with ADHD, this letter will be refreshing. You’ll say finally someone is telling my story. As for parents who don’t have a child with ADHD and who don’t understand it – Hopefully this letter is an eye opener. Sadly, I know there are many parents who are scared to say what it’s really like to have a child with a brain that works differently and feel it is sad that many parents feel like we need to hide it. It is not something to be ashamed of. It is not something my daughter did wrong. 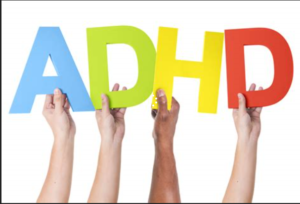 Believe it or not – there are good things about ADHD. To me, God gives us what he gives us. He gives us brown hair, blue eyes, and sometimes he gives us something unique like blindness, a limp in our step, or ADHD. We just have to learn how to deal with the package we’re given. Sure, at times, the package can be really difficult to handle, but, in the end, I believe in the old saying that God will not give us more than we can handle. I also believe there are hidden, special gifts which occur in different packages. To expand on this thought and my mantra for life – we should not want to hide what is different, we should embrace our differences. We should support each other, support our children’s strengths and challenges, and learn how to be better people and better parents. Ideally, this post will intrigue anyone who has a child with a different package to tell your own story. We need to tell our stories of how we love our children, how special they are, how we wouldn’t give them up for the world, their challenges, their strengths, and how our children can drive us crazy. I don’t think children driving their parents crazy is a new concept whether we have a child with very few challenges vs. a child who has a different package. I think we tell our stories of hopes, dreams, wishes, and frustrations because we all have them whether or not our package is tied with a big, red bow. We also all have frustrations. Our frustrations may be different, but we all have them. So here we go…. I know I’m not always your favorite since I am usually the rule maker and the rule pusher. You have no problems following society’s rules because you have an understanding heart. It’s the family rules and sometimes the school rules which are nonconventional and can be difficult for you. You demand attention. Of course, wanting is a human trait. Yet, you’re wanting can become an inability to compromise. As we’ve gotten to know each other and you’ve matured, our relationship has 100% improved, but we’re still figuring each other out almost every day. What I love most about you, ADHD, is how smart you are. You are creative. You are self assured. You are funny. You are animated. You are not scared and you take risks. What drives me the craziest is how difficult it is to get you to focus. I wish I better understood your thoughts. I can only imagine your thoughts are like a top spinning, spinning, and spinning. I believe if you were going to draw a picture of a street – it would never be straight. Your street would curve to the left, to the right, would go up a hill, go to the right again, etc. When people speak to you, I believe you hear every word, but at the same time are concentrating on something completely different. Doing one thing at a time is not only unlikely, but most likely impossible. Your energy is unlike anything I’ve ever seen. It should be bottled and sold in stores. When your day starts you are at 100 miles per hour right away without stopping. It’s a question I ask all of the time – will your tank ever run out of gas? At this point, I don’t think so. The other question I always ask is what do you care about? I know you care about your family and friends. Right now you also care about animals. Perhaps, animals are your favorite because they don’t judge the ADHD parts of you and they love you for who you are. This I can understand. I just want to better understand you. Right now your world is all about not being bored, being in control, and being the center of attention.There is not much you take seriously. At times, this is like nails to a chalkboard to the outside world, because fun trumps being serious, focused, and, at times, living up to your potential. We love your individualism – your crazy tutus, talks sitting on your head, spinning on bars 10 ft above the ground, etc., but it’s the not being able to concentrate that throws everyone around you off kilter. As a Mom who can be a perfectionist – this is like pouring gasoline onto a fire. Believe me, I have learned to breathe; which is a skill I’ve taught you. In the end, we can’t make you what you’re not. Hopefully someday as you grow and mature – you will be able to find a balance that works for you. The question others ask me about you, ADHD, is about your anxieties and frustrations. Yes, both exist. They are not a joke. If you’re tired, you get too stimulated, or something is not working as planned – you can show your ugly head. You have said mean things in the past such as I hate you. I use to wonder what monster lived inside of you and if this would be a concern in your older years, but luckily any hints of violence have subsided. Don’t get me wrong – You can easily become frustrated, you retreat, and we just have to take a break. Pushing you is never an option. At a young age, frustration would appear as anger or isolation. At times, tantrums are real. Luckily now you are coming more out of your shell. More and more we’re learning to talk, rationalize, and try to slow down. Some of the disruptive behavior happens because of who you are ADHD, your young age, and the competitiveness of being a young girl, but hopefully the talks we have had about good and bad choices is making an impact. I believe these lessons and talks live somewhere in your brain. I believe they do. Learning good coping methods is like riding a bicycle, so, sometimes we have had to regroup and know life is a journey and not a one way ticket. We have to believe you are chugging along and you will make it across the finish line. It may be your way of crossing the finish line, but you will cross it. One thing I know for sure is screaming and harping to a child with ADHD is like sticking a fork in their eye. I know this by experience. The other big question is do you medicate or not? I am not going to say either is the right route, but will say medicine for our family was a life saver. The medicine has never defined you as a person as much as it has given an ADHD brain a road map. It allows you to be the best you. If your meds define you or make you what you’re not, it’s time to find another medicine. Of course, there are scares like weight loss and sleep deprivation especially for a slender little thing, but we’ve managed to keep these things on track. Luckily, you are adventurous with food and you love your fruits and vegetables. Honestly, medicine may not always be the answer and we will always look at other options such as eliminating artificial flavors and preservatives from your diet, but we’re not ashamed to say medicine and a healthy/yet kid friendly eating plan has worked for you. Also, seeing a psychiatrist doesn’t make you or us crazy – it makes us smart and it makes you known. 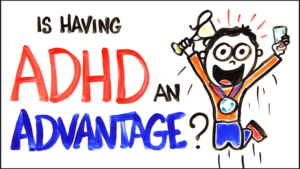 We don’t need to hide the ADHD part of you because quite frankly you are a ton more than ADHD. We are proud we have found what works for you. What am I scared about for you? I am not sure scared is the right term as much as what do I not want to happen in your life? What I don’t want is you to not live up to your potential because ADHD should not define you. What I don’t want is you don’t find your happiness or what you think is your purpose. 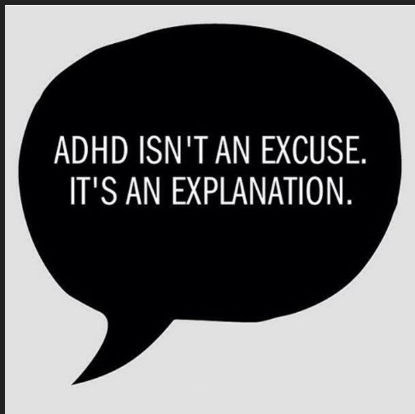 What I don’t want is for you to use ADHD as an excuse or a crutch. You just have to learn how to connect the dots for yourself. Some of your struggles with ADHD will probably be life time challenges, but how do you climb the mountain? We will always be here to support you, but you have to make some of the important steps on your own. We will give you as many tools, maps, and opportunities as we can, but you have to use these tools. Otherwise, the top of the mountain won’t ever be visible. In regards to my relationship with you – I still need to learn. I need to learn you may not always be conventional and this is ok. I need to learn to pray and know there is a bigger plan for you and there is no need to be scared. When things don’t go as planned on my side, I must admit the only thing that works and gets me on track is prayer. You give me hope and prayer gives me sanity. As for others, I just have to ask for you to stop shaming children and parents who live with ADHD. Don’t be sorry for us. Believe me, we are all doing the best we can and don’t have any reason to apologize. We have great children who anyone would be lucky to have. Our children are just as special as yours. Sure, they have their quirks, but they have God given gifts that are amazing. I would give my left arm to be as smart, funny, strong, loving, and psychically fit as Ryley. She is a powerhouse. Anyway, it will always be a love/hate relationship with ADHD. I believe ADHD has made some things difficult, has left scars, and has caused judgement to occur, but also believe ADHD has made my daughter vibrant and alive. ADHD has taught me a lot and has allowed me to see the world in a different light. It’s given me a new, very real perspective. I always thought you could teach your children like you’ve been taught and this is not the case. I’ve also learned to try to not put my own expectations onto my daughter. Thank you ADHD for teaching me these lessons. So, in conclusion, ADHD – I know this journey has just begun and there is still a ton we will learn about each other. I know I can’t always control you. I also think it is important for you to know we will not hide from you, but we will keep you in the open and continue to discuss you, live you, manage you, and not be ashamed of you. You are and always will be a part of our DNA, so, we will learn to accept you for who you are – the good, the bad, and the ugly.